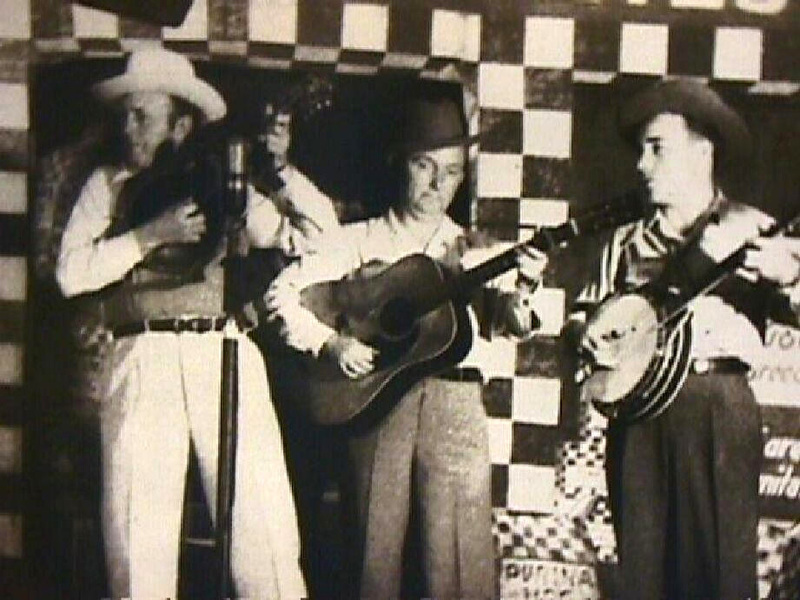 Although the genre was yet to be named, the addition of Earl Scruggs (1924–2012) to Bill Monroe’s Blue Grass Boys provided the crowning moment in the definition of bluegrass. Scruggs astounded everyone. His extraordinary banjo style allowed him to roll out a rapid barrage of notes that nevertheless sounded out the melody as clearly as the fiddle. What is now known as “Scruggs-style” banjo playing became the final critical component of Bill Monroe’s undeniably distinctive sound that would eventually be called bluegrass. This according to Homegrown music: Discovering bluegrass by Stephanie P. Ledgin (Westport: Praeger, 2004). Today is Scrugg’s 90th birthday! Above, Monroe, Lester Flatt, and Scruggs at the Grand Ole Opry in 1945; below, Scruggs and friends on David Letterman’s show in 2001.